- IT4SE 2014 plans, guest stays, etc. 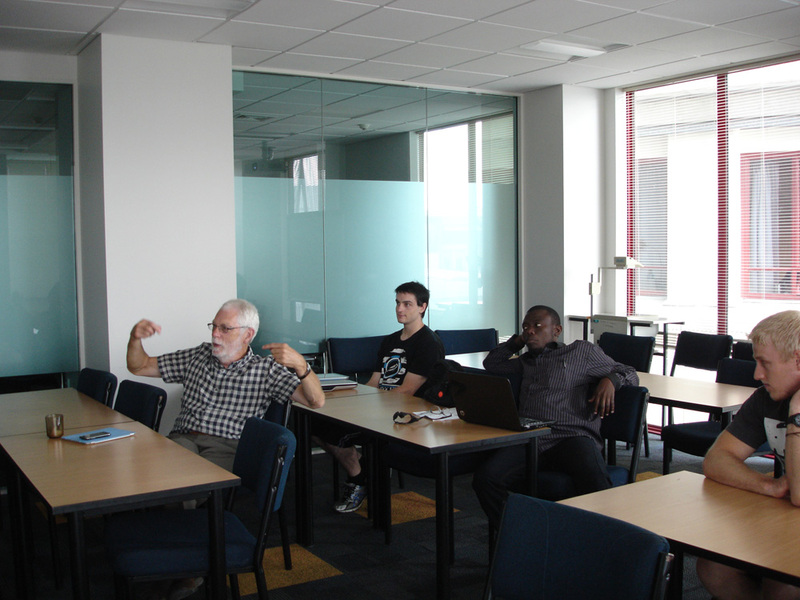 The workshop was open to visitors of the open research day of the computer science faculty. 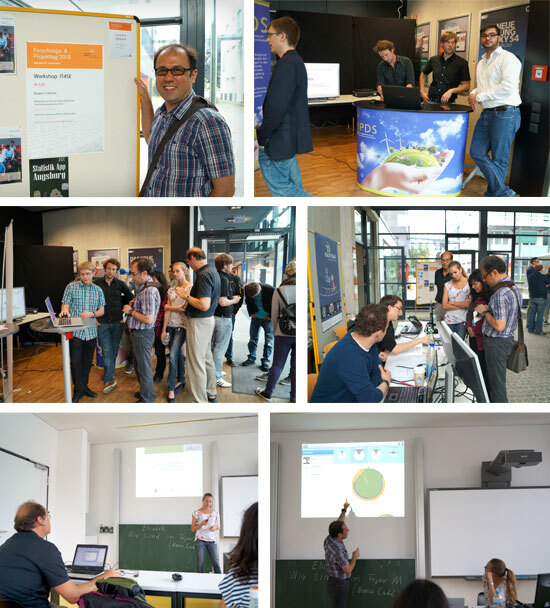 Workshop attendees were invited to visit the various demo booths, among which two were related to IT4SE. 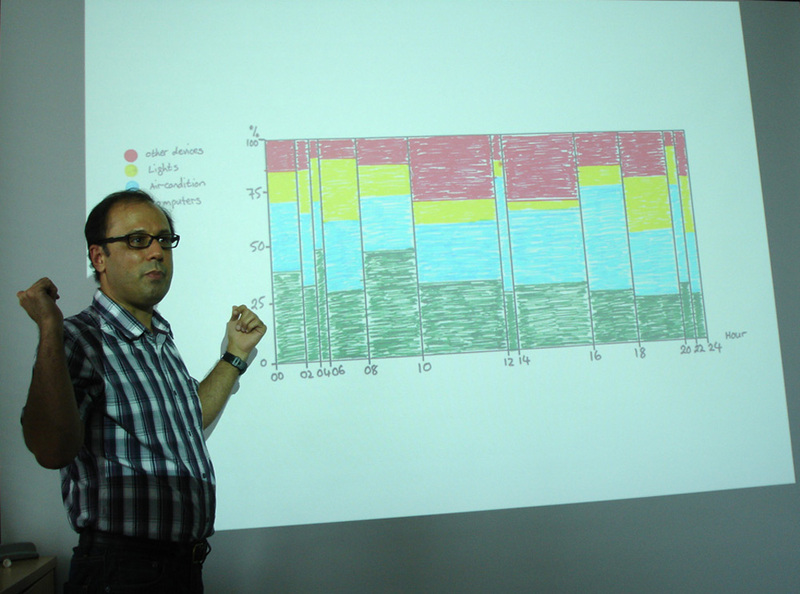 Prof. Rist presents revised versions of the simulation systems MicroGrid and Virtuelles Kraftwerk. 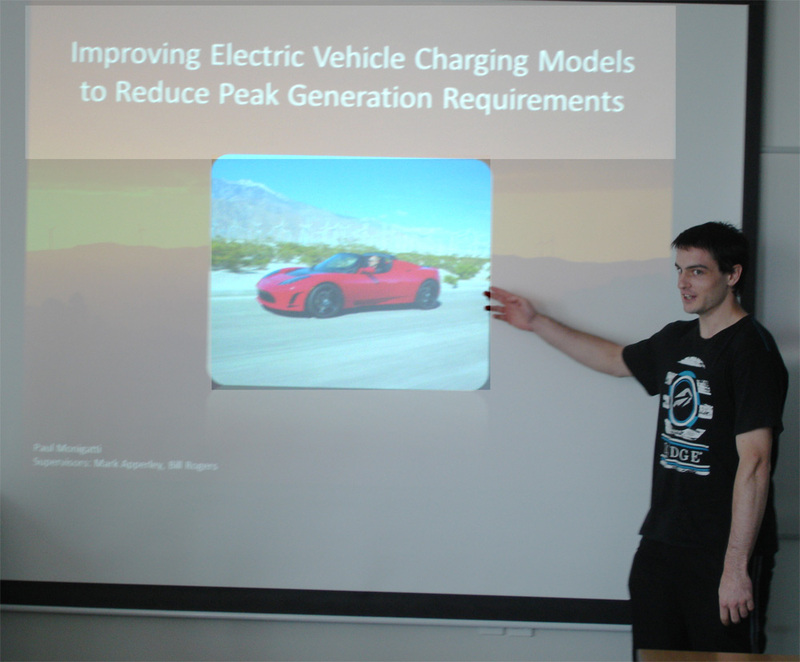 The team headed by Prof. Dr. Mark Apperly presents recent work on Energy Monitoring, eMobility and mobile Storage. 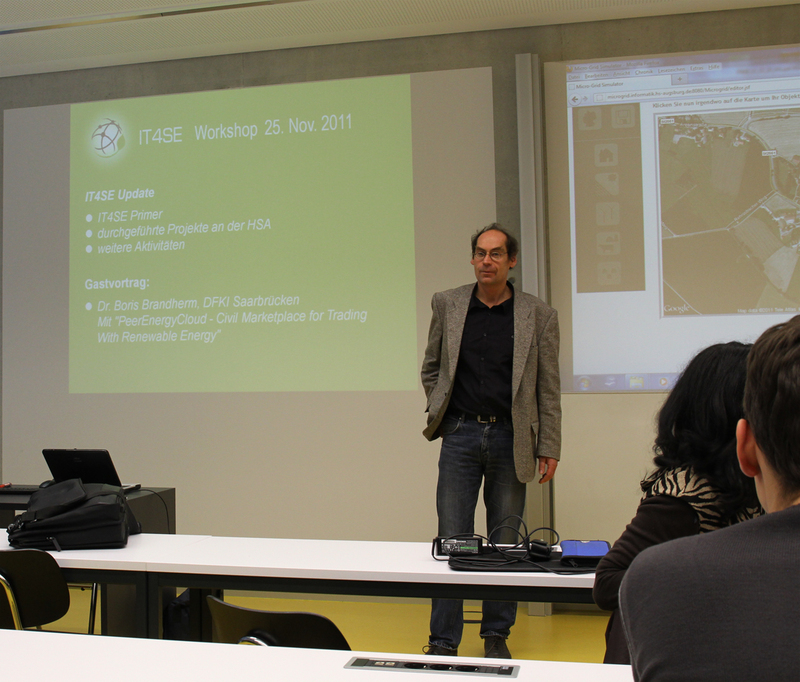 Please notify us via eMail in case you plan to attend to the IT4SE workshop: Steffen.Wendzel1@hs-augsburg.de. 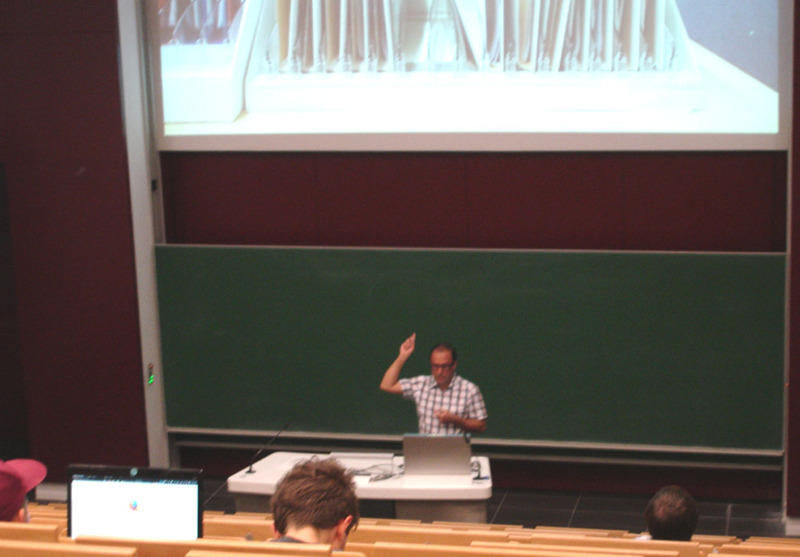 15:15 Steffen Wendzel: Security in building automation systems and the prevention of malicious data communication in building automation networks. 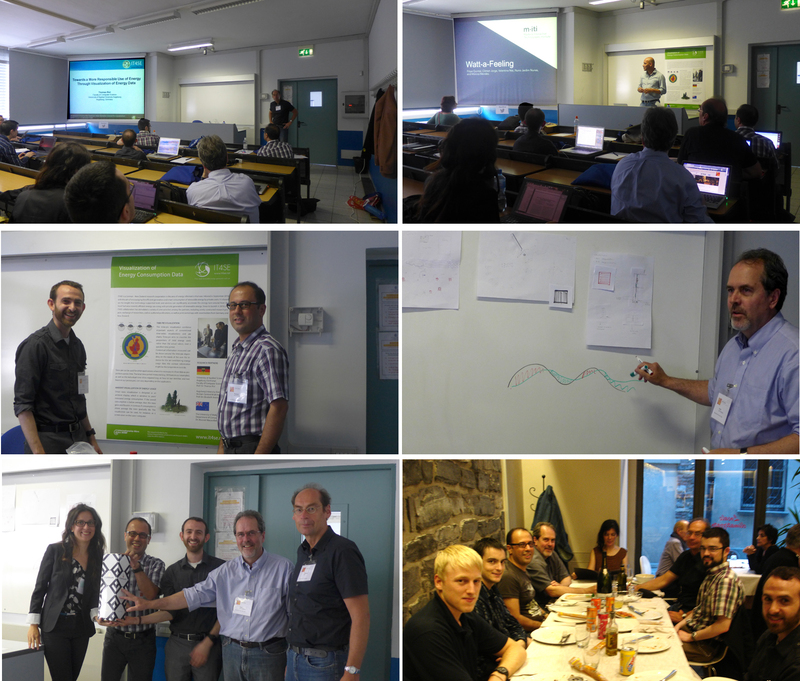 In the context of the 4th IT4SE Workshop, a status report presentation was held by Prof. Dr. Thomas Rist. 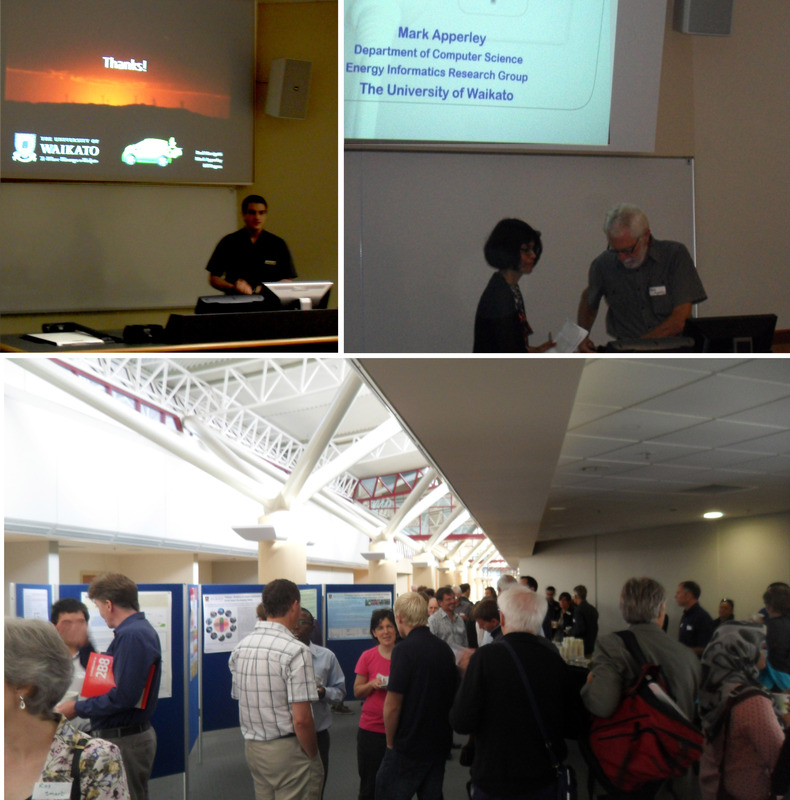 Prof. Dr. Mark Apperly presented his working group and informed the attendees about the current MSI call on minerals and energy. 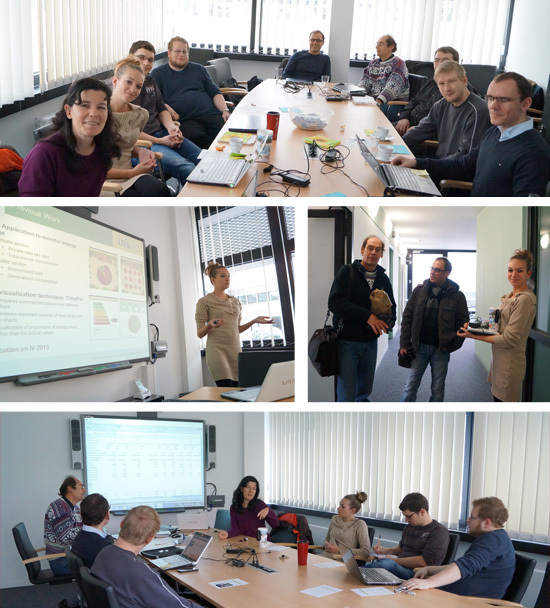 This workshop will bring together a group from research and industry who share a common interest in applying information technology to the smart generation and efficient use of energy. 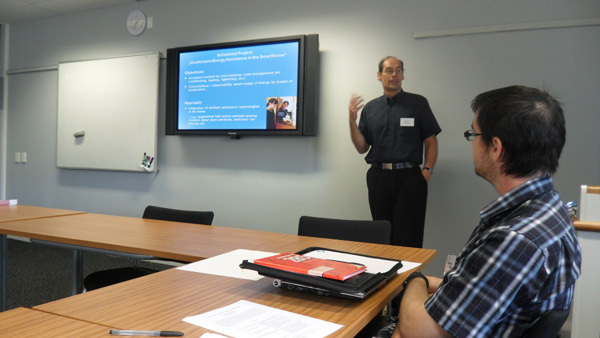 The aim of the workshop is to scope out the field, establish what efforts are currently underway, and where further research and innovation is required. It is anticipated that it will lead to larger, more comprehensive meetings in the future. 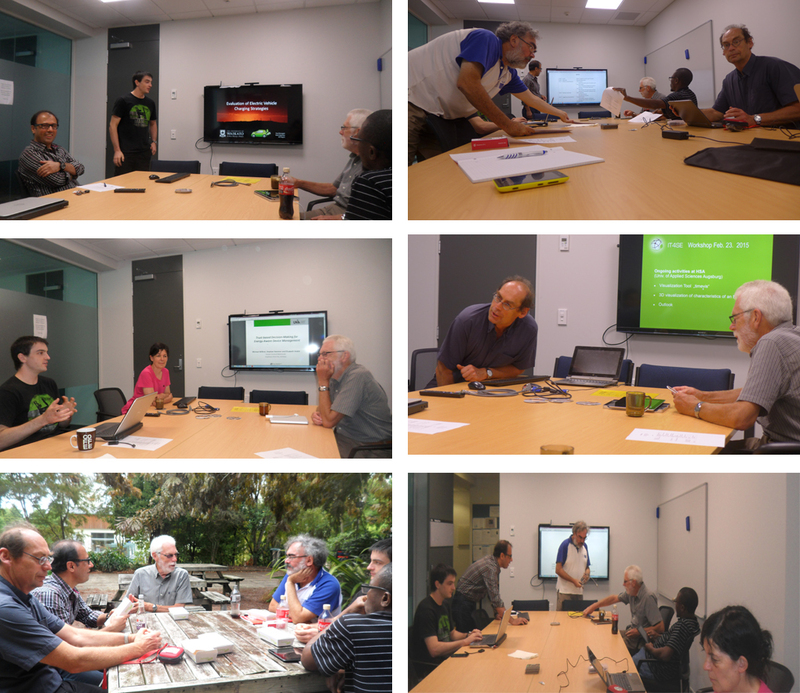 The Workshop is sponsored by the IT4SE project, funded by the German Ministry of Education and Science, which includes the University of Waikato as the NZ partner and the University of Augsburg as a local partner. All participants will be given the opportunity to present a brief position statement. 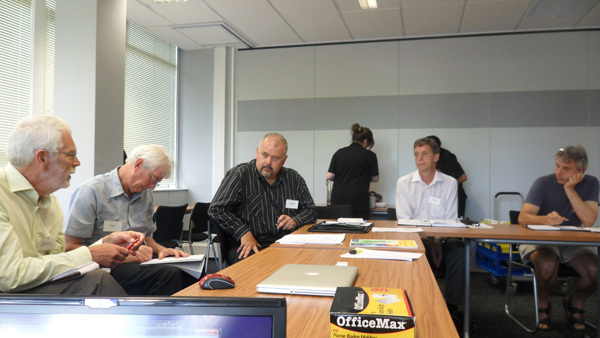 Please send us a short mail in case you will attent to the workshop. This is important for our sheduling. 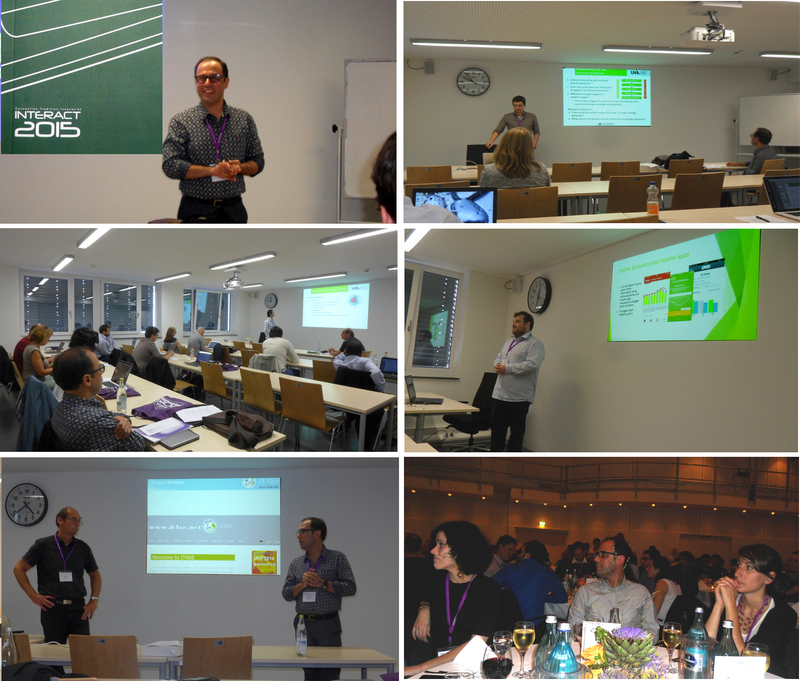 The workshop was held at the Department of Computer Science (Augsburg University of Applied Sciences) in Room Raum W1.09. 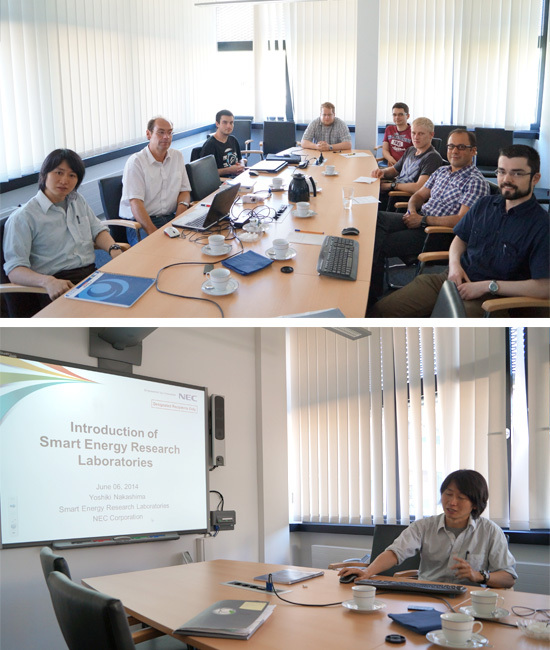 This workshop will bring together a group from research and industry who share a common interest in applying information technology to the smart generation and efficient use of energy. 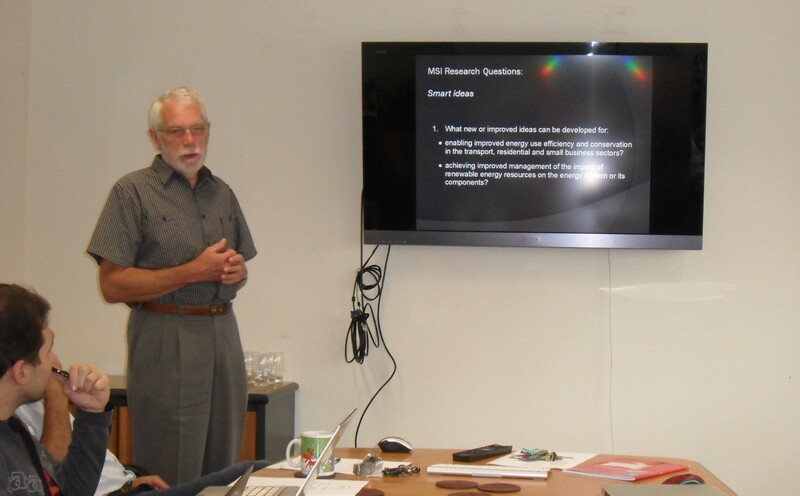 The aim of the workshop is to scope out the field, establish what efforts are currently underway, and where further research and innovation is required. It is anticipated that it will lead to larger, more comprehensive meetings in the future. 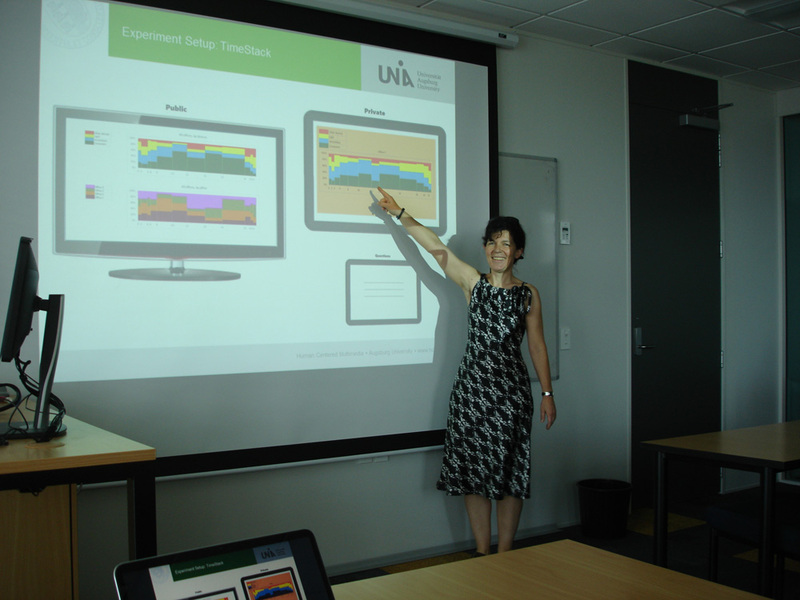 The Workshop is sponsored by the IT4SE project, funded by the German Ministry of Education and Science, which includes the University of Waikato as the NZ partner, and is closely associated with the “Informed demand-side load management” project. 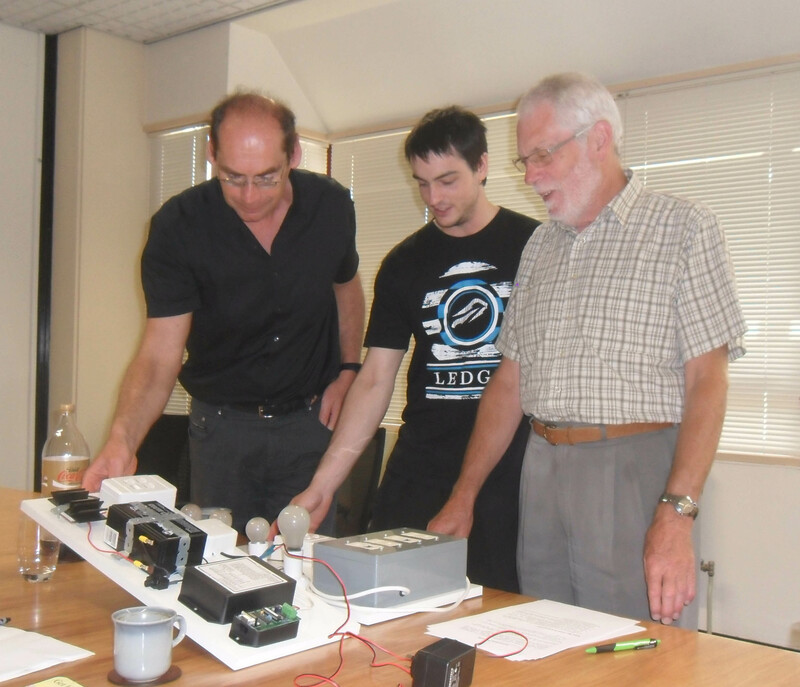 Each participant will be invited to spend up to 3 minutes giving an overview of their interests and position on IT in Smart Energy Generation and Use. This session will be an open discussion which will include brief descriptions of participants' current and proposed activities. Workshop participation is admission free. 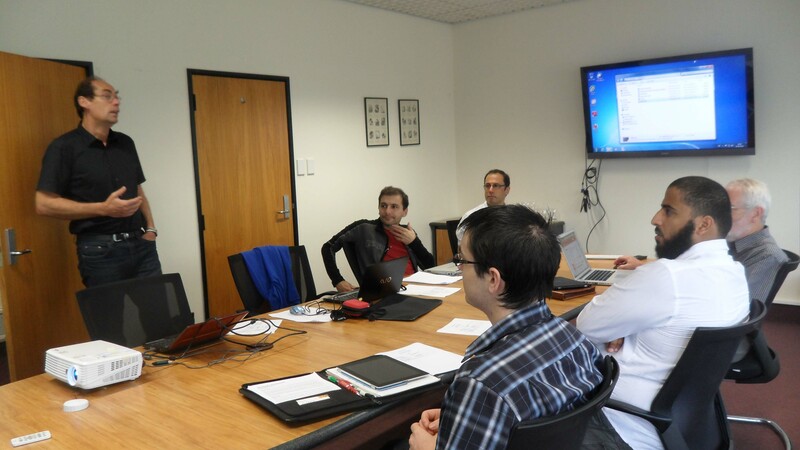 The aim of this workshop is to gather input for reference projects to be carried out under the umbrella of the IT4SE network. 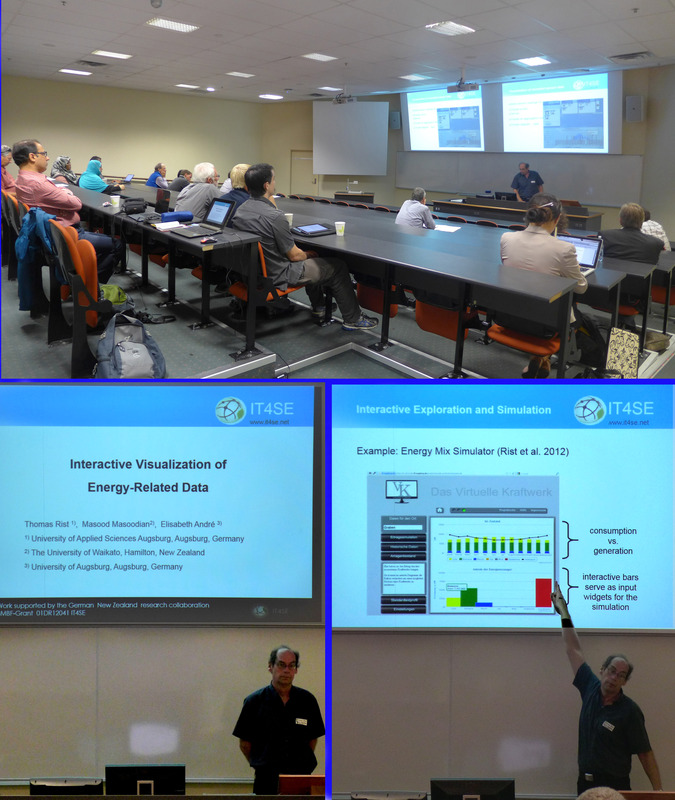 To this end the workshop program features a number of invited talks from representatives of companies with an interest in IT4SE related research areas. "Mit Gebäudeautomation in bestehenden Gebäuden Energie sparen; Grundlagen und Realisierung"
15:30-17:00 "Der Mix macht's - Intelligente Wärmeversorgung mit Sonne und Holz"
"Raumpotenziale Erneuerbarer Energien - Wege zu einer neuen Standortplanung"
Prof. Rist introduced the IT4SE project and its main goals. He also spoke about possible cooperative projects with partners of the industry. 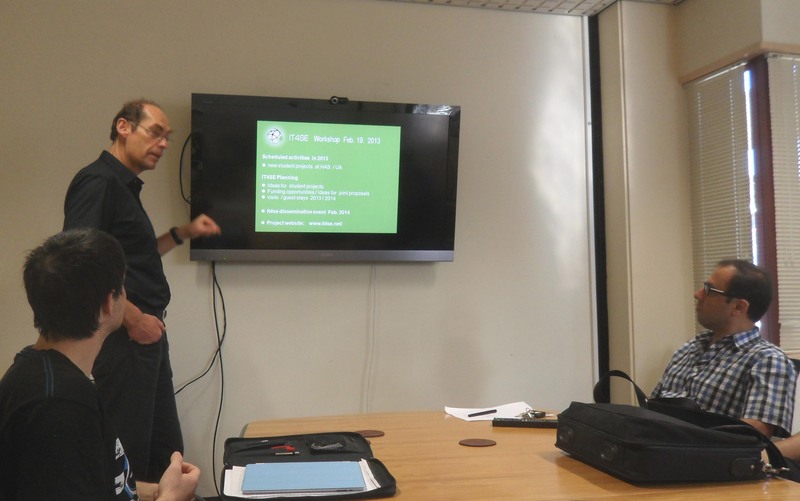 "Der Mix macht's - Intelligente Wärmeversorgung mit Sonne und Holz"
Mr. Rieder spoke about developments and problems in the area of heating (oil price, drinking wate quality, ...). 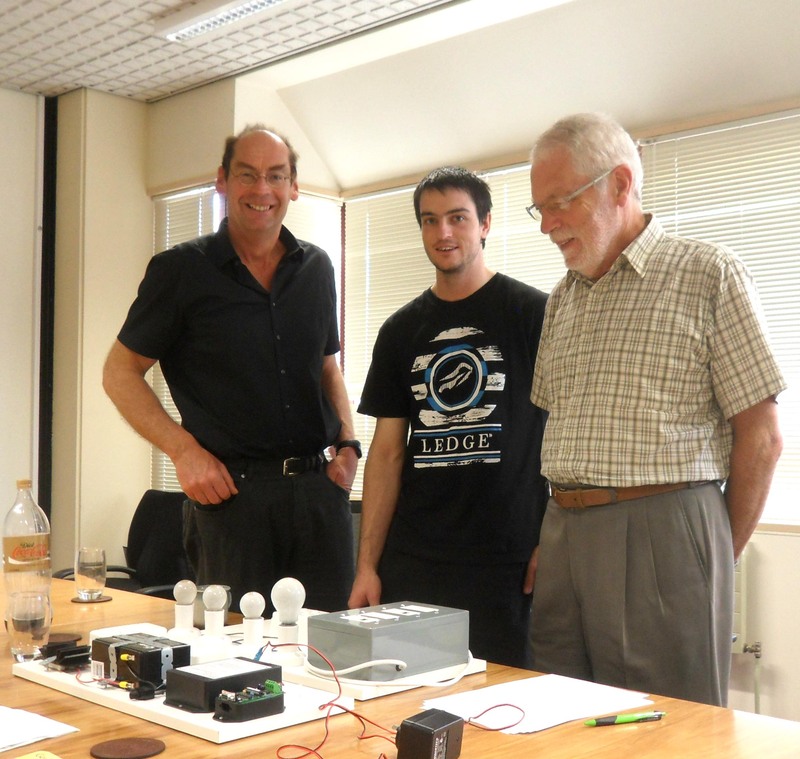 He showed historical developments of the heating systems of residential buildings and state of the art technology. 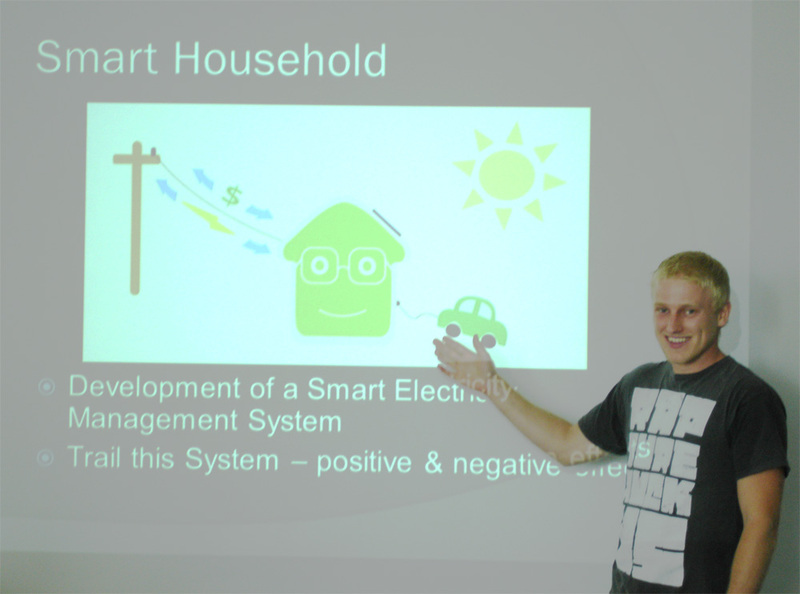 Mr. Rieder presented a concept for the generation of energy for an autarchic mountain hut in the alps. 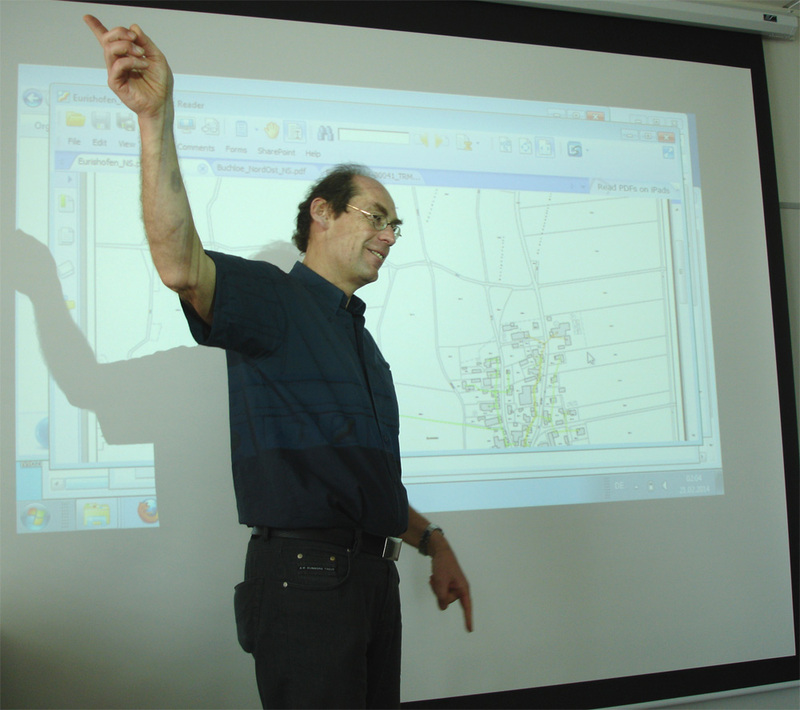 Main aims where to focus on the energy sources in the alpine environment as well as the environmental protection. 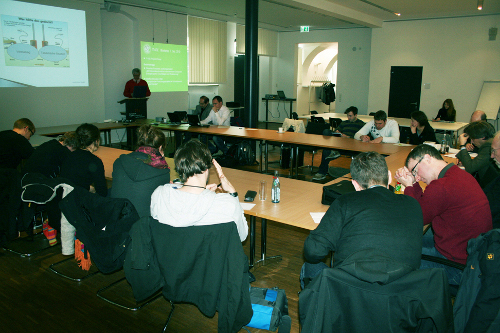 Mr. Bosch spoke about the a research project of the geo-informatics department of the University of Augsburg. 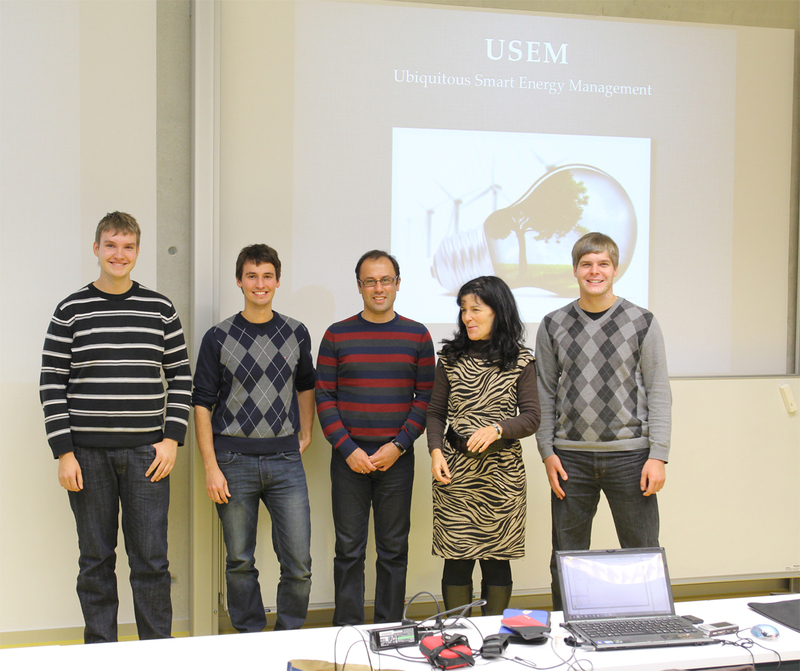 The project aims to optimize the usage of renewable energy in germany. 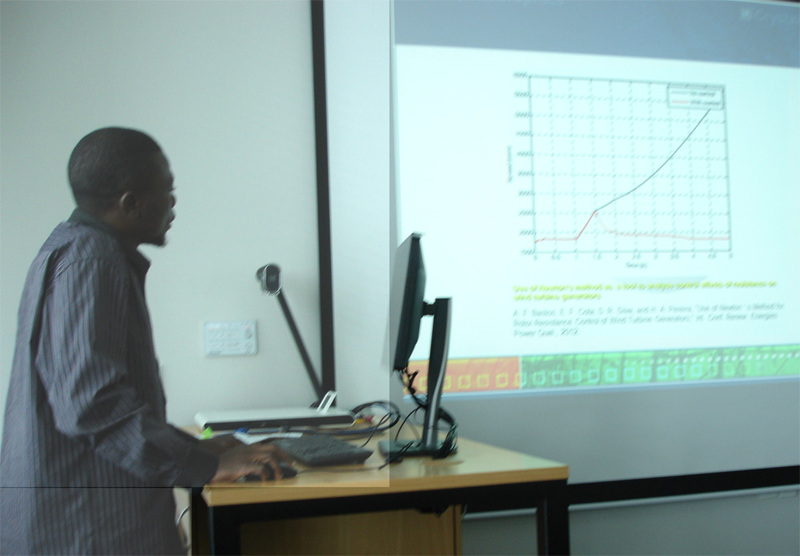 This talk was about energy consumption in general, as well as about solutions to save energy by using automated building control systems like HomeMatic (e.g. for hotels, homes and schools). 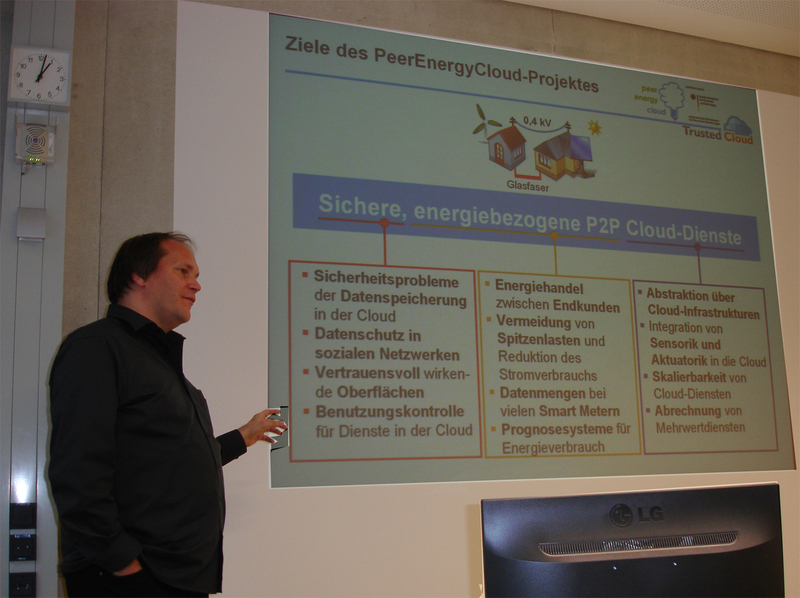 "Europäische Forschungsprojekte im Schnittbereich IT und Energie"
Mr. Wendzel spoke about different research projects in the topical area of computer science and renewable energy/energy awarenes (mostly projects funded by the 7th framework programme of the european union).